This standard is for the guidance of those involved in the design, operation, and review of fast pulse reactors. It has been formulated in general terms to be applicable to all current fast pulse reactors. 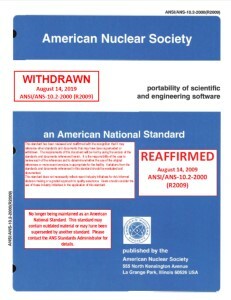 This standard does not apply to periodically pulsed reactors or booster assemblies. Operation and maintenance of fast pulse reactors shall be carried out in accordance with this standard and the other applicable ANS-14 and ANS-15 documents.